KIT's 2Q17 DPU of 0.93 Scts signals another steady quarter. All assets performing in line with expectations. Management continues to review acquisition possibilities; a future key catalyst. Maintain BUY with higher TP of S$0.60; total return potential of around 13% at current price including distribution yield. 2Q17 distribution of 0.93 Scts in line. Keppel Infrastructure Trust (KIT) declared DPU of 0.93 Scts for 2QFY17, along expected lines – the eighth straight quarter of steady DPU. Group revenue was up by 16% y-o-y and 2% q-o-q to S$159m in 2Q17 and distributable cashflows – the key number for KIT – came in at S$39m, up 2% y-o-y and 13% q-o-q. City Gas cash generation was up 30% q-o-q in 2Q17 to more normalised levels as gas tariffs are always adjusted in line with underlying fuel costs with a lag. This is likely to smoothen out over time. Cash flows from other key assets remained stable and the Trust’s newest asset, Data Centre One, contributed higher positive cash flows, as rental rates were renewed in line with existing agreements. Basslink also generated positive funds from operations for the second successive quarter but the Trust does not use these cash flows for distribution purposes. Some Basslink issues still unresolved. Basslink has yet to resolve ongoing discussions with Hydro Tasmania and the banking syndicate on matters arising from the undersea cable outage that occurred through most of 1H16. While Hydro Tasmania has not paid Basslink facility fees since September 2016 (as Hydro Tasmania disagrees that the outage is a force majeure event), Basslink has been receiving some good faith payments from Hydro Tasmania since December 2016. As such payments received are lower than the facility fees, Basslink may be unable to meet the minimum debt service coverage ratio (DSCR) under the project financing. However, after the resumption of the full facility fees for a 12-month period, Basslink expects to meet the minimum DSCR which is computed on a trailing 12- month basis. Basslink remains current on the debt and all outstanding payments under the project financing have been fulfilled. While a technical debt default situation cannot be ruled out at Basslink, do note however that Basslink-related issues have no impact on KIT's distributions as Basslink has not been contributing to distributable cash flows for a while and is not expected to in the near future either. Market appetite for safe yield has resulted in re-rating. KIT’s track record of steady distributions backed by utility assets that generate regulated/availability-based cashflows irrespective of economic cycles has gained more recognition in recent months, leading to yield compressing from around 7.0-7.5% levels to around 6.5% levels currently. With the listing of more quality infrastructure business trusts in Singapore, we hope this asset class can reverse previous adverse reputation and gain more acceptance in the investment community. This should make acquisitions fructify sooner than later. Current gearing levels are not very aggressive for a utility asset owner, with net debt-to-EBITDA ratio of around 5.1x (excluding Basslink). Refinancing risks are also limited in the near term as close to 100% of loans are due only in 2019 and beyond. While there is no statutory cap on gearing levels, we estimate that the Trust could look at acquisition targets in the S$1bn enterprise value range funded by a 2:1 debt:equity mix. The share price re-rating should make it easier for the Trust to raise equity at a lower cost of capital as and when required. A lower cost of funding will also enable the Trust to bid more aggressively for M&A targets. Apart from the ROFR pipeline, management continues to evaluate third-party options in sectors like energy, telecoms, water and waste management. We look forward to the Trust kicking off its M&A ambitions in FY17. This should be a key catalyst for further re-rating. Maintain BUY with higher TP of S$0.60. Given the Trust’s low correlation to the market, we lower our beta estimate and consequently our cost of equity assumption falls to 5.5%. Based on our DDM-based valuation methodology, we thus derive a higher valuation of S$0.60 for KIT. The Trust is currently trading at a yield of 6.6% based on annual distribution forecast of 3.72 Scts in FY17/18. 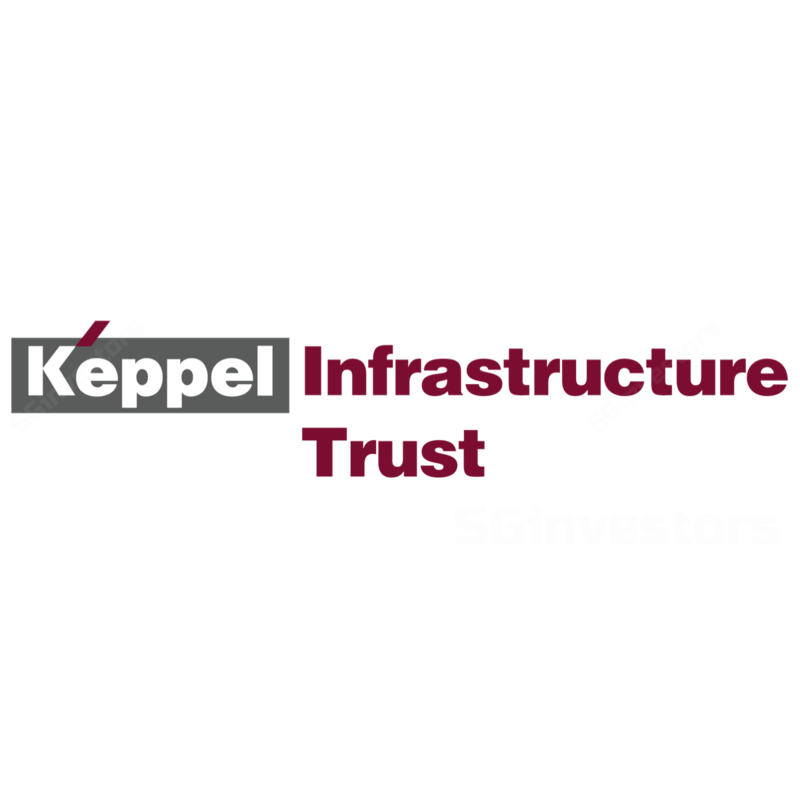 Given the total return potential of about 13% (including dividends) at Keppel Infrastructure Trust's current price, we maintain our BUY call on the stock.